PFC have just released a retro-fit disc to replace the Pagid disc used on many of the TCR vehicles. 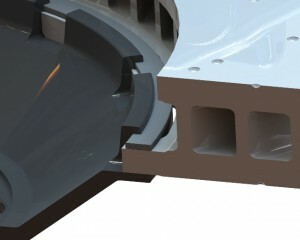 The PFC disc is produced from better quality materials and machined to finer tolerances. New sprint material giving high bite and friction without fade. Good release and modulation characteristics. New endurance material for long pad & disc life. 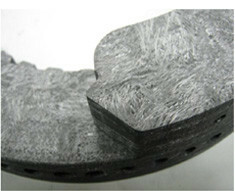 New endurance material for long pad life and minimal friction rise with temperature. The PFC UK offices are closed on Friday 19th April 2019 and Monday 22nd April for the Easter public holiday. All orders placed on Thursday 18th April 2019 after 2pm will be shipped from Tuesday 23rd April 2019. If your enquiry is extremely urgent please click here to send a message to the UK sales office. Spain, March 2019 – PFC Brakes is the new official brake supplier for the F4 Spanish Championship in 2019. The sponsorship agreement was achieved after several conversations since last year. The objective of the organizing committee is to continue offering quality standards to the drivers and the teams. “I am delighted that PFC Brakes have been nominated by organizing committee of F4 Spanish Championship as the preferred brakes supplier for the 2019 season. PFC Brake systems are chosen across the globe by manufacturers, teams and championships for their commitment to making the absolute best products in the industry. It is therefore a real pleasure to now be involved in this up and coming series in Spain, where we will provide our best products after complete several testing days with different teams and drivers”, said Peter Babbage (PFC Vice President – European Operations and Senior Vice President – North America). The first round of the F4 Spain Championship will be in Circuito de Navarra, April 6-7. 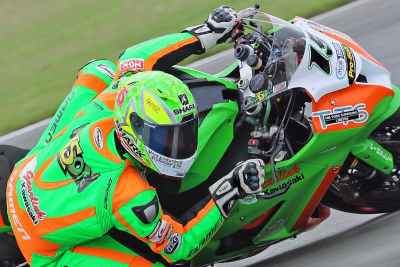 PFC brakes are delighted to announce their continued support of Gearlink Kawasaki for 2019.
and Fraser Rogers in the British Superbike championship. 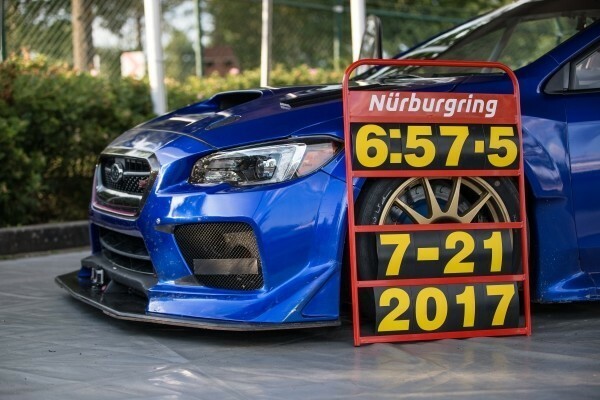 Congratulations to Prodrive on taking the Nürburgring four door saloon record with their Subaru Impreza WRX STI, equipped with one of PFC’s newest Carbon Metallic compound brake pads. The new record by Prodrive with driver Richie Stanaway was set on July 21, in a time of 6 minutes 57.5 seconds! May 22, 2017 – The 51st annual Louis Schwitzer Award has been presented to engineers Don Burgoon, James Borner, Darin Cate, Paul Rankin and Mark Wagner from PFC Brakes for the PFC carbon disc brake system. Featuring a patented mounting mechanism, the carbon disc and pad assembly provide a uniform matrix which reduces vibration and tyre wear. Considered the founder and visionary for PFC brakes, Don Burgoon (1955 – 2015) received the award posthumously along with the rest of the team during a ceremony at the Indianapolis Motor Speedway. “The spirit of innovation drives progress. If you glance in the rear-view mirror, you’ll see that past award winners have improved performance, efficiency and safety for generations of racecar drivers. The engineers we acknowledge today will take their place in history, inspiring new innovations in the future,” said James R. Verrier, President and Chief Executive Officer, BorgWarner. “We are proud to sponsor the Louis Schwitzer Award and congratulate the engineers who worked tirelessly to bring this technology to the racetrack. Presented by engineers to engineers, the Louis Schwitzer Award recognizes individuals for innovation and engineering excellence in racing technology associated with the annual Indianapolis 500. The award memorializes Louis Schwitzer, who won the first auto race at the Indianapolis Motor Speedway (IMS) in 1909 and designed the “Marmon Yellow Jacket” engine that powered the Marmon Wasp to victory at the first Indianapolis 500 in 1911. After working in the automotive industry for many years, Louis founded Schwitzer Corporation, which produced innovative cooling fans, water pumps and turbochargers. Schwitzer Corporation joined BorgWarner in 1999. Throughout his career, Louis achieved numerous technological accomplishments, supported higher education, led the IMS technical committee and maintained a strong association with SAE. 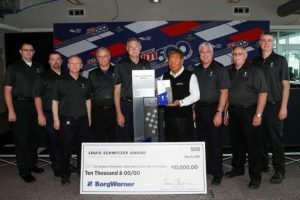 BorgWarner continues Louis Schwitzer’s legacy of technology leadership as the official turbocharger supplier of the Verizon IndyCar Series. The engine of every car in the Indianapolis 500 will be boosted by BorgWarner’s line of EFR™ (Engineered For Racing) turbochargers. Built for reliable and powerful performance, EFR turbochargers feature Gamma-Ti (titanium aluminide) turbine wheels, ceramic ball bearings and stainless steel turbine housings. 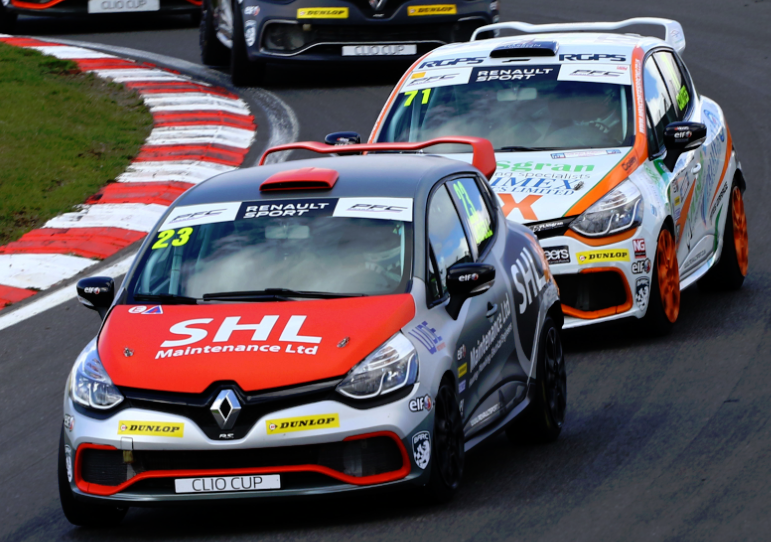 Ant Whorton-Eales has been crowned the 2016 Renault Clio Cup champion. All cars in this series are equipped with PFC brake systems, comprising calipers, disc assemblies and pads. 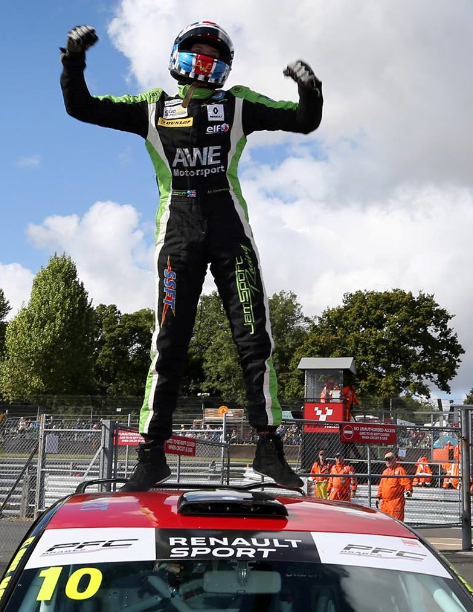 Click here for full details of Ant’s win (on the Renault Sport website). Congratulations to Charlie Nesbitt, who has been crowned the youngest ever Moto3 British Champion. Charlie and the e3 Motorsport / Redline KTM team use PFC 05 race brake pads. Click here for the full story of his amazing season. INDYCAR announced today a partnership agreement with Performance Friction Corporation that will make the company the official brake supplier of the Verizon IndyCar Series. The multiyear agreement makes PFC the exclusive supplier of brake system components to each entry competing in the Verizon IndyCar Series beginning in 2017. 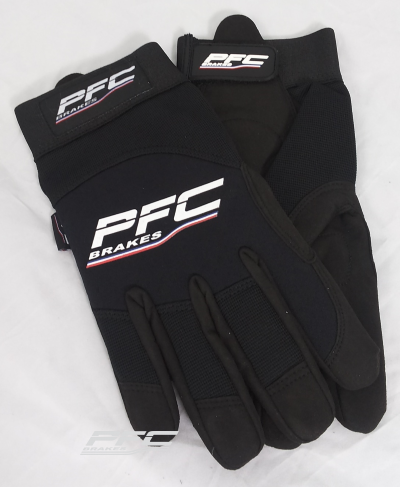 PFC has a successful motorsports heritage and has been a long-time brake supplier in stock car and sports car competition. Previously, the company was an Indy car supplier in the Champ Car World Series and currently is the brake supplier to all three levels of the Mazda Road to Indy development series sanctioned by INDYCAR. Please click here for information on the Verizon IndyCar Series and its 16-race 2017 schedule. 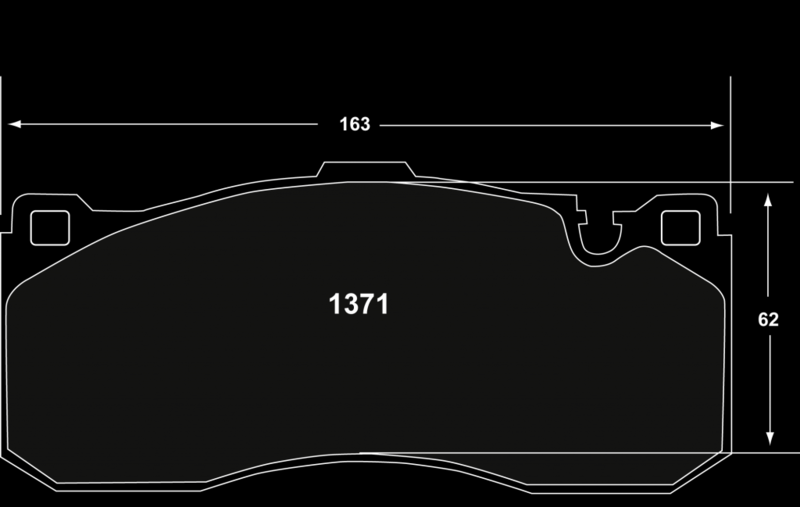 We now have in stock fast road / trackday pads in the very popular 7856 and 7871 profiles. 7856.10 – Audi RS4/5/6, R8 and various Lamborghini models. Please contact us to confirm your order! 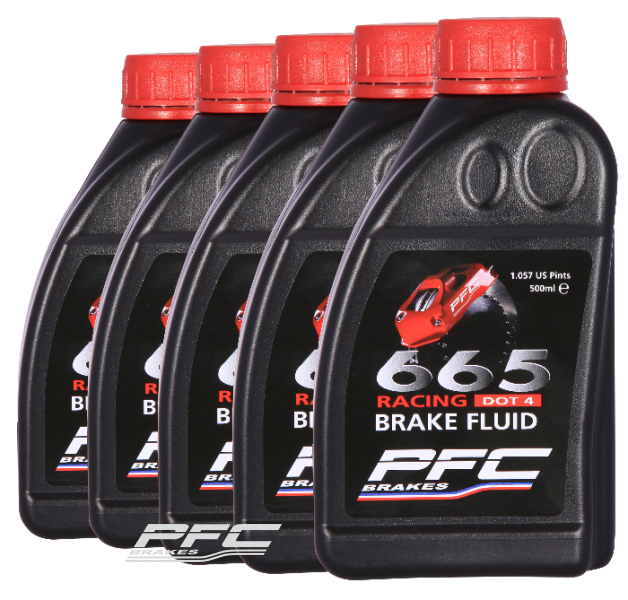 RH605 DOT 4 high performance brake fluid has been specifically formulated to provide optimum performance for car & motorcycle brake systems. Suitable for the road and trackdays, this new brake fluid complements our RH665 racing brake fluid, which can tolerate even higher temperatures. With excellent high temperature performance to resist brake fade due to vapour lock. Outstanding corrosion resistance and class-leading lubricity to prolong system life and enhance ABS operation. Typical Dry Boiling Point: 300°C (572°F). Minimum Dry Boiling Point: 290°C (554°F). RH605 brake fluid conforms to and exceeds the current specification U.S. FMVSS no. 116 DOT 4, and is completely street legal. Redline KTM are 2015 Motostar Champions! 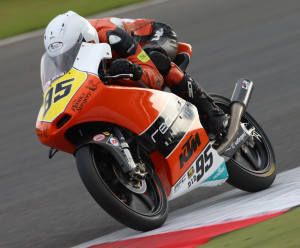 Riding the Redline KTM Scott Deroue wrapped up the Motostar 2015 championship at the penultimate round at Silverstone. His two wins mean that, with just two races remaining, he has an unassailable 69 point lead over second placed Taz Taylor. Scott uses PFC 05 compound brake pads and we at Performance Friction would like to congratulate Scott and the team on taking the 2015 championship. It has been our great pleasure to work with Scott and the team at Redline KTM. Redline KTM now moves onto Brands Hatch for the final round of the 2015 championship as the Champions! With the new season fast approaching you will, no doubt, be installing new PFC brake pads, discs and calipers to your pride and joy. Don’t forget that we can also supply racing brake fluid, mechanics’ gloves and temperature paint. Please click here to see all of the accessories that we offer to help make fitting and using PFC Brakes even easier! 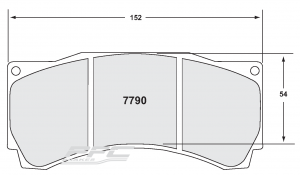 PFC Brakes can now offer the 7534 and 7614 brake pads in our 13 compound. 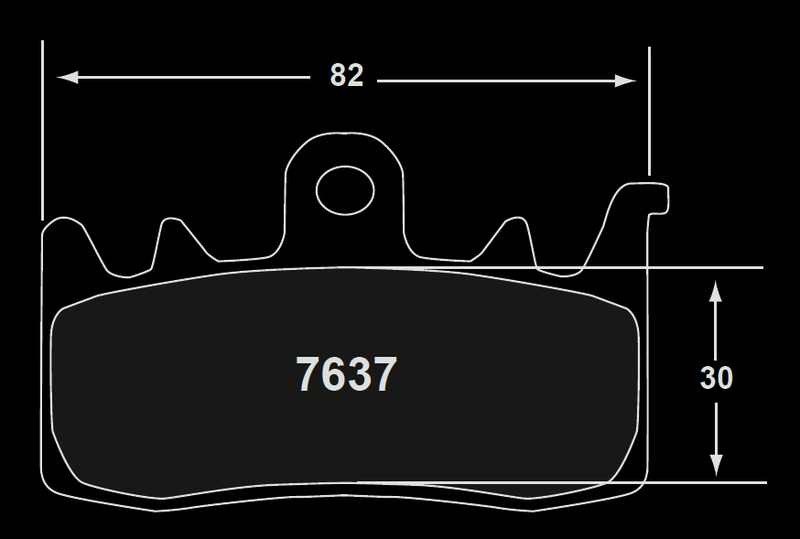 The 7614 is a pinless brake pad compatible with the Brembo XA3.J7.F0/F1 caliper. 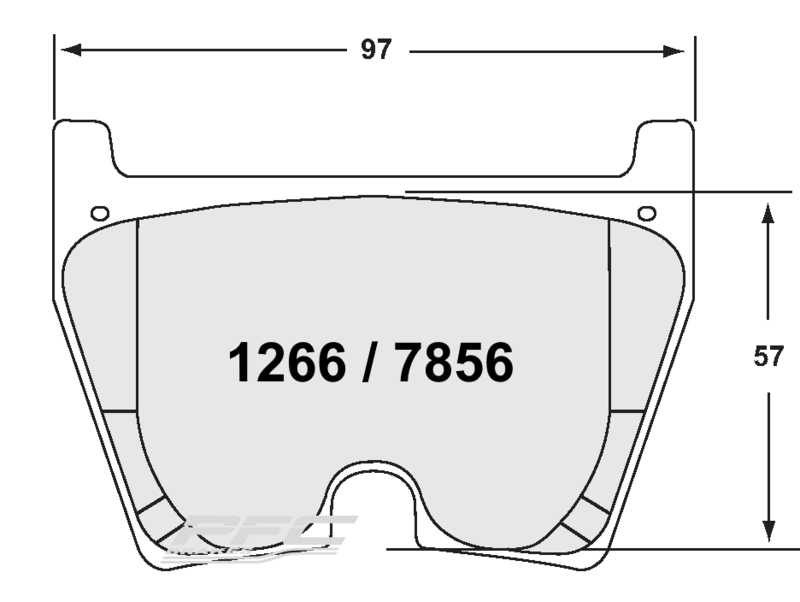 The 7614 is suitable for Moto 2, World and British Superbikes, where this caliper is commonly used. 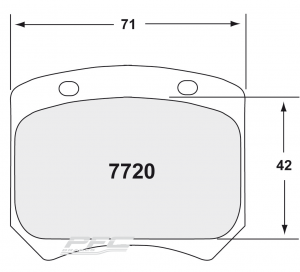 7534 is a four pad system suitable for Moto 3. The 7534 can used with both Moto 3 Brembo caliper options. 13 compound is the choice for riders who desire maximum braking performance and torque. The 13 compound has the highest initial bite of all PFC bike compounds combined with a progressive torque rise with temperature. Initial bite is managed along with feel and control, so that the suspension is not upset. This allows a smoother transition between the brake and throttle. There’s a new pad in town!! The 7637 profile suits several bikes, including models from Aprilia, BMW, MV Agusta, and Ducati, including the 899 Panigale and new Scrambler. Please click here for full application details. 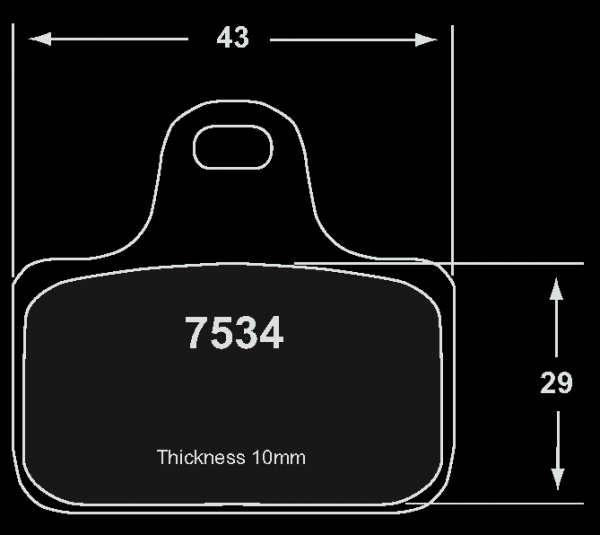 This pad is in stock in the UK – contact PFC Sales for more information, and to order! 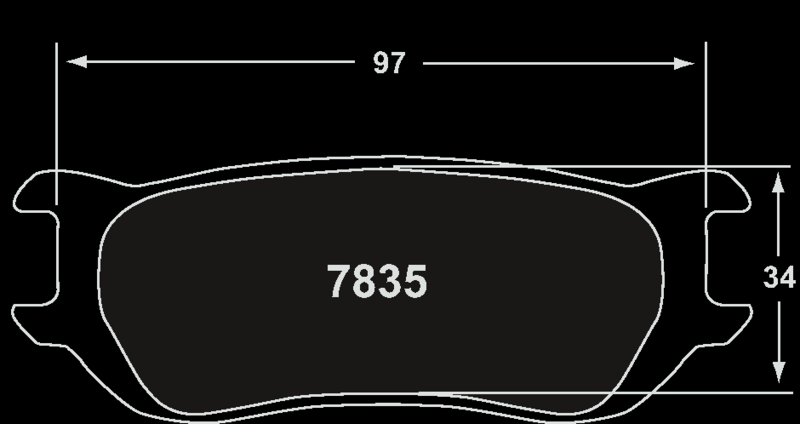 7637 is available in 95 and 13 compounds. These are available in PFC 08 compound, suitable for use at trackdays with high performance tyres. The sensational 500+ BHP R.S. 01 sports GT racer features front and rear 380mm carbon-carbon PFC Brakes with ZR53 6-piston calipers. 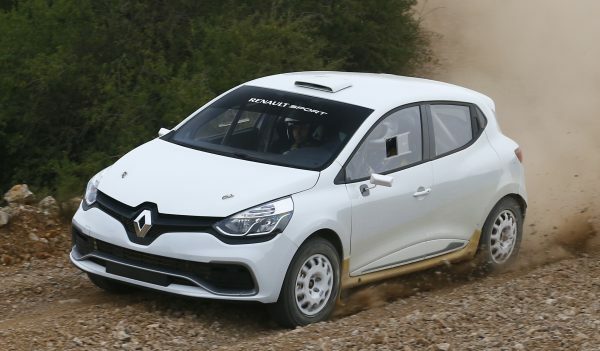 Please click here for Renault Sport’s announcement, and here to see Alain Prost driving this totally awesome car at Jerez. 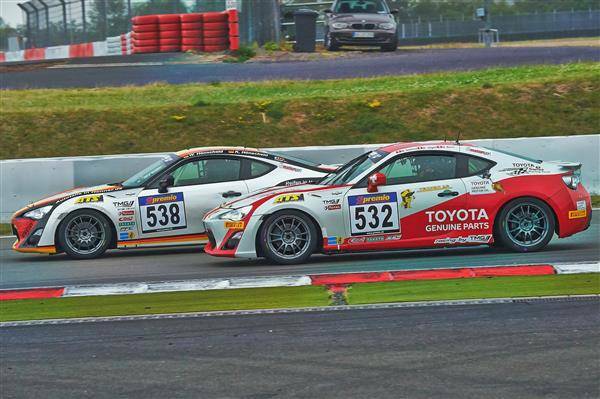 PFC Brakes are suppliers to the GT86 Cup run by Toyota Motorsport GmbH. 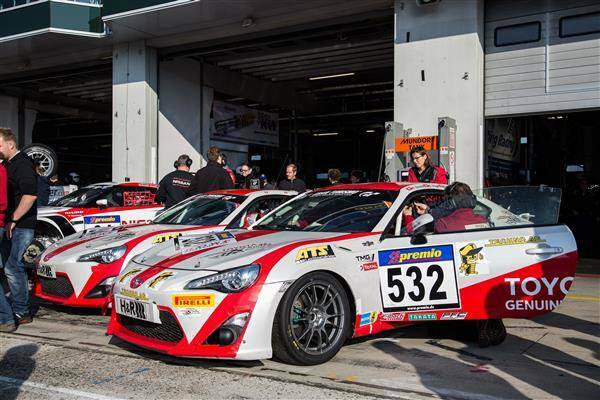 Toyota Motorsport GmbH (TMG) has selected leading manufacturer PFC Brakes to supply brake pads to its successful GT86 race car. The 200 bhp rear wheel drive car offers drivers a competitive and cost-controlled entry for the VLN Endurance Series and Nürburgring 24 Hour race that are held on the Nordschleife, where PFC Brakes already equips close to 40 percent of the 180+ car entries. 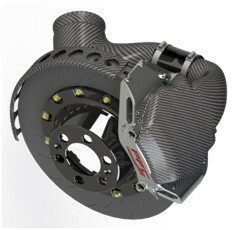 All GT86 CS-V3 race cars will run PFC Brakes’ legendary Carbon Metallic matrix material pads in the VLN and N24 events. 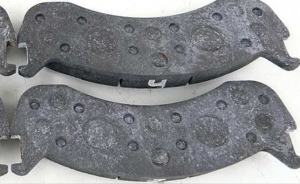 Thanks to its unique six layer structure, PFC Brakes’ pads deliver better thermal stability and a firmer pedal with bite from cold. Equally crucial for the longer races that make up the VLN Series, PFC Brakes’ pads offered better durability and performance over a wide temperature range, providing drivers with confidence to lean hard on the brakes throughout the race distance. TMG is the latest in a growing list of vehicle manufacturers, including Porsche and Renault to realise the benefits of PFC Brakes’ technology for their one make race and rally cars. 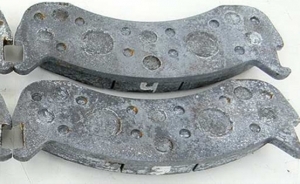 As well as comprehensive technical support in Europe and excellent local stock levels, all PFC Brakes pads are free from copper, asbestos, lead and chromium. PFC Brakes have revised the very successful Dallara F312 Formula 3 braking system to use the latest V3 disc and hat assembly. The Direct Drive V3 mounting system uses a spiral locking ring that connects the disc to the hat. This allows much faster fitting without the need for tools or fixings, and weighs even less overall. • Improved performance • Better control • Quicker release • Lightweight, low inertia • Choice of compounds • Choice of champions! 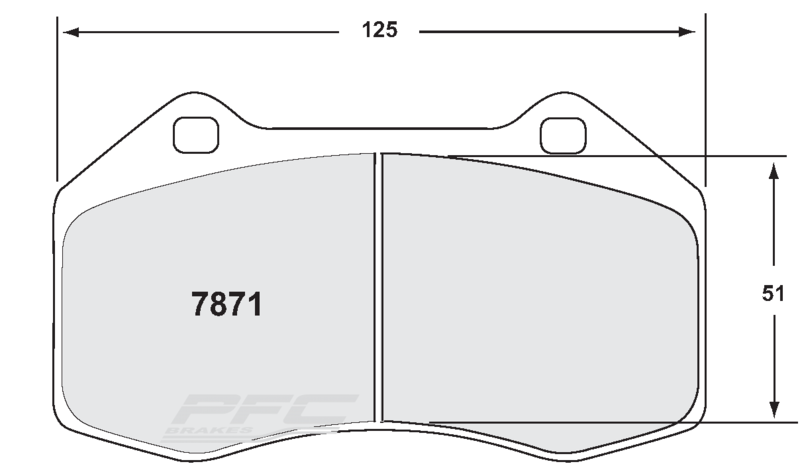 Click here for PFC Formula 3 application sheets, and here for the current F308 brake system. 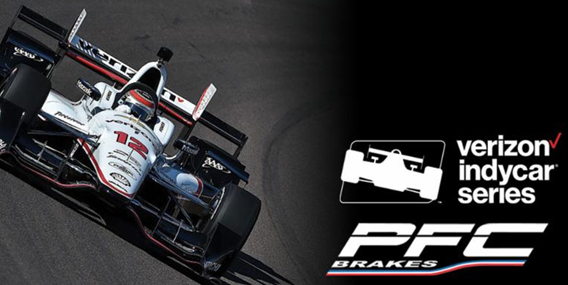 PFC Brakes is proud to be the official brake supplier for the 2015 Indy Lights Series and will be featured on the Dallara IL-15 car. The new PFC full brake package utilises purpose built, shape-optimised 6-pot monobloc calipers, PFC discs with patented slot pattern, and PFC race pads. The new Indy Lights full PFC brake package will feature the all new PFC ZR81 6-piston monobloc calipers, PFC ZERO FAILURES™ discs and PFC pads on the front and rear. The PFC monobloc calipers (specifically designed for the Dallara uprights) are 30% stiffer than the current calipers. The new disc assemblies feature PFC’s new patented V3 technology to eliminate hardware, reduce weight, and allow for quick changes. The new PFC package is designed for longer life and added capacity. 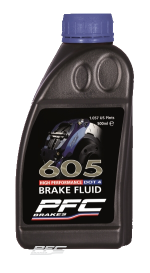 Despite the added capacity, the new PFC brake package is Lighter, Stiffer, Cooler, and Quicker. Testing of PFC pad compounds to complement the Cooper tyres has been ongoing to suit roads and race applications. The origin of the Indy Lights Series began in 1986, and has been a developmental race series sanctioned by IndyCar, founded in 2002 as the Infinit Pro Series. The series has produced some of the most famous race car driver names including Marco Andretti, Scott Dixon, and Tony Kanaan. Many of the drivers continue into the official IndyCar Series and the Indianapolis 500. PFC is proud to be on all 3 “Road to Indy” ladders as open wheel racing is part of PFC’s DNA. 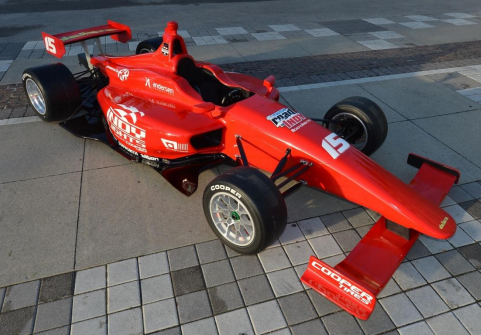 The new Indy Lights Dallara IL-15 car is the next exciting step to get to the Indy 500. It should be noted for the 2014 Indy 500, every row has a race driver who has competed in Indy Lights and is a testament to the vision set forth by the IndyCar series with Dan Andersen, his staff and technical partners. 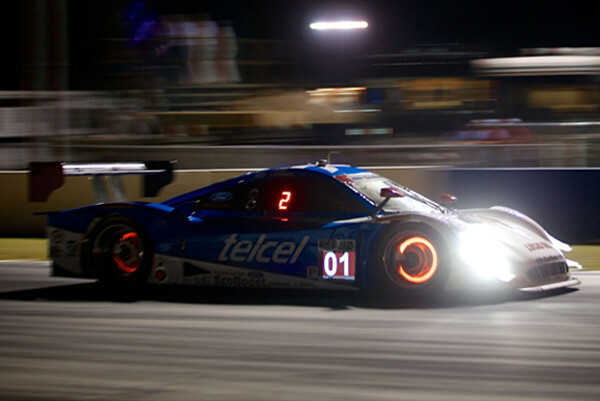 Ganassi WINS 12 Hours of Sebring with full PFC carbon brake package. The No. 01 Chip Ganassi Racing with Felix Sabates team and PFC Brakes made sportscar history this past weekend with a WIN at the 62nd 12 Hours of Sebring, the oldest sportscar race in the United States. Ganassi’s Ford EcoBoost-Riley Daytona Prototype was equipped with PFC’s monobloc calipers and PFC’s continuous wound carbon brake discs and pads, 100% PFC designed and manufactured, incorporating new technologies unique to the 64 year history of this icon of endurance races. The Ganassi team is the only team in racing to have won the Indianapolis 500, the Daytona 500, Brickyard 400, the Rolex 24 at Daytona, and now the 12 Hours of Sebring. The team also switched to the Ford EcoBoost DP motor during the offseason, giving Ford their first overall Sebring win in 45 years. The DP was driven by Scott Pruett, Memo Rojas, and Marino Franchitti who took the checkered flag after 12 hours of racing. 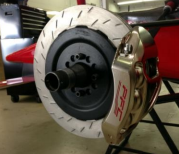 PFC Brakes patented continuous fibre Carbon-Carbon disc and pads along with ZERODRAG™ calipers gave the Ganassi team the braking advantage with the best possible package on the track. The technology behind the Carbon-Carbon design is world-class, made from a continuous three-dimensionally wound high-density super modulus carbon fibre. The disc provides better higher burst strength, better thermal conductivity and cooling properties, better friction stability, and better cold friction for restarts without incident. Before this year the Grand-Am and the American Le Mans series merged under NASCAR’s IMSA TUDOR United SportsCar Championship, putting the Ganassi team at the Sebring race for the very first time in their 25-year history. With over 30 lead changes throughout the race, the 62nd year of the 12 Hours of Sebring proved to be one of the most competitive and demanding. With 20 minutes left in the race, a caution flag brought the field together, giving another challenge to the Ganassi team. With their Ford DP and PFC Brakes package, Franchitti had a 4.682 second lead victory across the finish line. 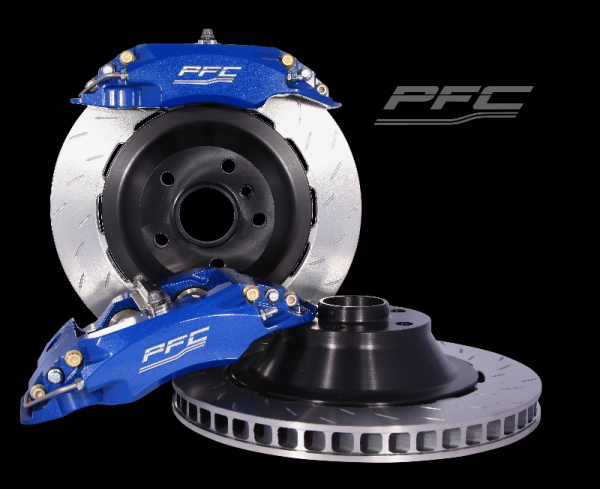 PFC’s full carbon-carbon disc brake package featuring ZERODRAG™ calipers are once again proven to be able to handle the most intensive endurance tracks for the best racing teams in the world. PFC lives by their standards and their customers – NO COMPROMISES™. PFC Brakes Europe have supplied BMW Motorsport with front disc, caliper and brake pad systems for the M235i Racing. Initially the cars will be used for the VLN Endurance Championship and the Nürburgring 24 Hours. The cars will also feature in the BMW Sports Trophy. A trackday / race brake kit is being developed from this system for production BMW 235i models. Please contact PFC Europe for details. Reinforcing its position as a leader in the design and manufacture of competition brake systems, PFC Brakes has been chosen as official brake supplier to Renault Sport Technologies for its new Clio R.S. R3T rally car. Complying with FIA R3 regulations, PFC Brakes’ pads, discs and calipers incorporate a number of key innovations, such as piston cap insulators to deliver exceptional performance on tarmac and gravel whilst still achieving the stringent cost and technical requirements set for the category. With the Clio R.S. 200 EDC’s turbocharged 1618cc engine generating more power than the existing R3 car, PFC Brakes’ engineers set out to develop a durable brake system to withstand the higher loads and temperatures generated. Innovations, typically found in the highest levels of motorsport were incorporated to deliver the high performance specified. Examples include piston cap insulators that reduce temperature transfer to the brake fluid by as much as 55˚C thus minimising risk of boiling fluid. 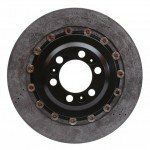 Larger and wider front discs are specified for tarmac to improve heat dissipation, even under increased loads such as those experienced on long tarmac stages. 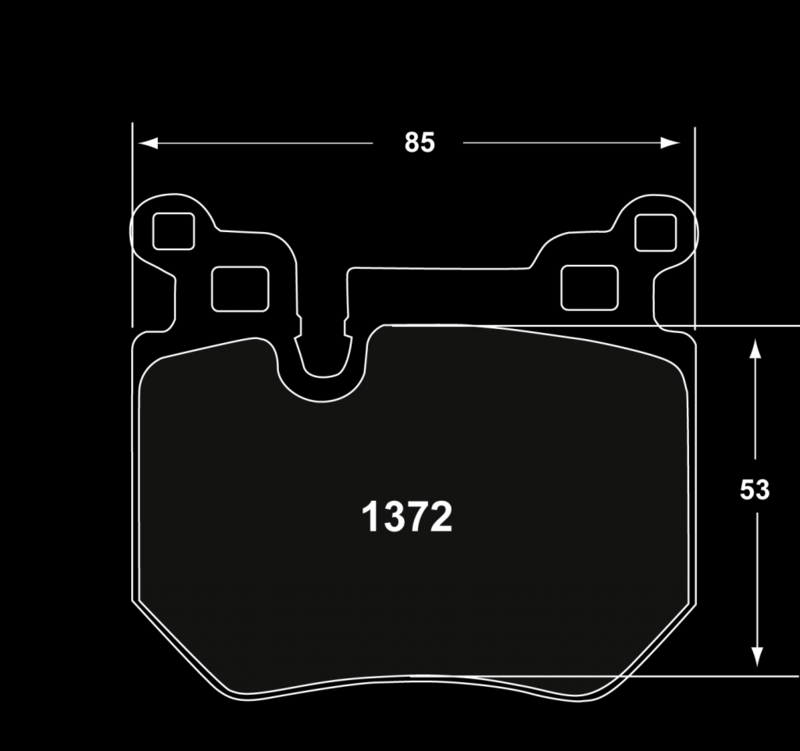 PFC Brakes’ engineers specified a derivative of its proven ZR34 caliper; the forged monobloc aluminium caliper offering the best blend of weight and stiffness. 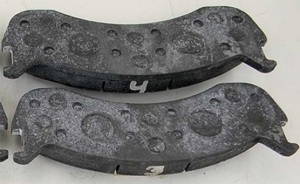 Clever design also enabled PFC Brakes to offer a brake pad with a larger radial depth, providing a larger contact area to deliver better stopping power than the standard size typically used by competitors. Testing across a variety of surfaces led PFC’s engineers to determine that due to the wide operating window of its pads, just two PFC compounds can satisfy the demands of drivers of all abilities on all surfaces. Both the chosen compounds deliver improved bite, modulation and release characteristics with the one of the versions offering particular resistance to wheel locking. 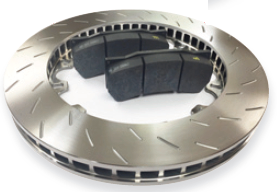 To enable drivers to use the brakes right from the start of a stage, PFC specified brake pads designed to work at low temperatures and the unique metallic matrix construction ensures consistency for the duration of a stage, further inspiring driver confidence. PFC Brakes Europe has announced that the Andreani Group is its new Italian distributor of car and motorcycle brake parts, for both road and motorsport use. Headed by former motocross rider and suspension expert Giuseppe Andreani, the company will use its famed expertise to provide PFC Brake Europe’s Italian customers, on both two and four wheels, with local sales and technical support. Whilst the Andreani Group is best known for its involvement in motorcycling, the firm now has a substantial presence in four-wheeled motorsport with technical support trucks and technicians attending a range of motorsports in Italy from shows, rallies, circuit races, hill climbs and off-road events. (Clover, SC) – PFC has released new V3 disc and hat technology. The advanced design features a retention ring that holds the hat and disc together. The ring means no need for torque wrenches, and no hassle. The ability to change a disc quickly and efficiently saves time and effort. As well as being convenient, the new V3 technology is much lighter than previous designs, making it easier to put on and pull off, and making the vehicle lighter. This V3 disc retention method is based on the use of a two-turn retaining ring, which is held in a groove in the hat that overlaps the disc flanges, effectively locking the disc to the hat. Performance Friction recently unveiled their new “PFC” logo. The new logo embodies a fresh look and feel that is a more accurate reflection of Performance Friction’s corporate identity. The third generation logo has evolved with new purpose and meaning, adopting the name their friends and customers know them by. While President of Performance Friction Don Burgoon was at a brake test with a premier customer, it became clear that the change to “PFC” wasn’t a new name at all — rather, a formal acceptance of a name the market already calls them. A logo is part of a company’s culture and identity, and PFC designed their new mark with this in mind. During the logo creation process, a company-wide poll was taken to aid the decision and PFC employees and customers shared their opinions on the different designs. With such a valued title, Performance Friction feels that this change will resonate with PFC customers worldwide. Viewing the change is more of an “official” adoption of a name they have worn proudly for years. PFC has been providing customers with high quality brake systems as the leader in race brake technology for decades. The PFC logo aims to reflect their bright, dynamic future and their quest to continually deliver innovative brake solutions to market. The excitement for the new logo is pushing Performance Friction into an even stronger future than before. (Clover, SC) January 7, 2012 – PFC Corrosion Resistant Protective Coating is a technology unlike any of the competitors. The coating prevents rust, peeling, corrosion, and is extremely temperature resistant. The PFC coating incorporates high temperature ceramic technology for strong protection on all surfaces of the brake pad. 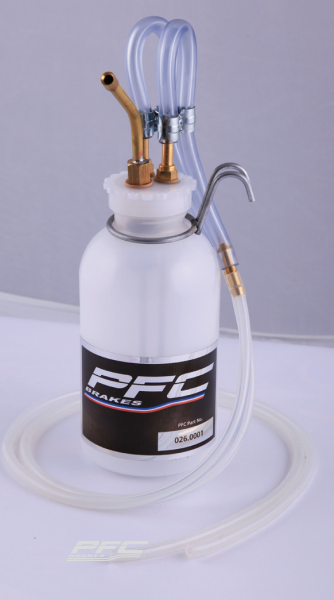 Under extreme testing procedures, the PFC coating withstands all the elements. PFC put the anti-corrosion coating through extreme testing procedures. Within the industry, it is known as the GM9540P testing procedure and is one of the best testing procedures to predict coating lifetime. PFC has added the 650 oF bakes to simulate environmental conditions usually seen under braking. PFC Corrosion Resistant Protective Coating also endured a salt spray and high temperature exposure test, resulting in absolutely zero coat peeling and minimal to zero rust, with red rust calculated between only 1 – 2%. 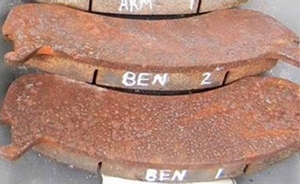 After exposing the coated pads to a second PFC cycle of testing, enduring double the salt spray and high temperature bakes, the PFC pads had minimal rust, with red rust calculated between only 2 – 5%. The coating did not peel from the pad, proving its extreme resistance to the salt spray and high temperature exposure. After a third exposure to the PFC testing cycle, enduring triple the salt spray and high temperature bake, the PFC pads had little rust, between 5 – 15%. 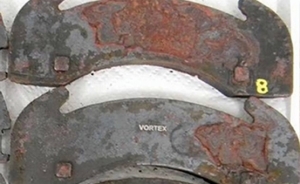 Other competitor protective coatings fail completely, ending in severe peeling, excessive red rust, and even 100% red rust coverage on the brake pads—after only one cycle of testing. PFC Corrosion Resistant Protective Coating withstands all environmental and extreme driving elements. 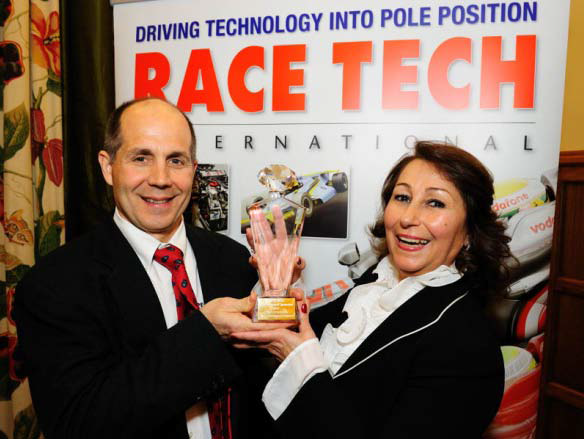 Don Burgoon, President of Performance Friction Corporation, received the award for the Most Innovative New Motorsport Product from Soheila Kimberley, Publishing Director of RACE TECH magazine at the RACE TECH World Motorsport Symposium. Since being released at the start of 2010, the ZR43 Zero Drag caliper has been found on a number of winning cars in NASCAR Cup including Jamie McMurray’s Earnhardt Ganassi Racing Chevrolet, winner of the prestigious 2010 Daytona 500. At the same event, Adrian Newey, Chief Technical Officer at Red Bull Racing, was presented with the Dino Toso award for the Racecar Aerodynamicist of the Year. On accepting the trophy, he gave special thanks to his team, particularly Peter Prodomou, Head of Aerodynamics. The award for the Race Engine Designer of the Year was presented to Thomas Laudenbach for the Porsche 911 GT3 R Hybrid which has proved to be extremely competitive since its inaugural race at the Nürburgring 24 Hours. The heart of the system features the ingenious Flywheel Storage System developed by Williams Hybrid Power. In its sixth year, the RACE TECH World Motorsport Symposium again attracted at the highest level speakers and delegates from around the world. John Iley, Head of Aerodynamics at Vodafone McLaren Mercedes, who has been Chairman of the Aerodynamics/Vehicle Dynamics Day from the start, was once again the Chairman for the day while the Racing Engine Day was chaired by Ulrich Baretzky, Head of Engine Technology at Audi Sport. Lord Paul Drayson, team owner of Drayson Racing, and Martin Whitmarsh, Chairman of the Formula One Teams Association and CEO of McLaren Racing, gave the keynote speeches on the two days. Other speakers included Gilles Simon, the FIA’s Head of Electronics and Powertrain, Pete Spence, Vice President and Technical Director, Toyota Racing Developments, Ben Bowlby, Technical Director, Ganassi Racing and Mark Page, Chief Scientist, Swift Engineering.